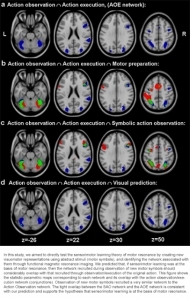 We use functional MRI to identify the brain regions of the motor network involved in different aspects of motor learning and action observation. 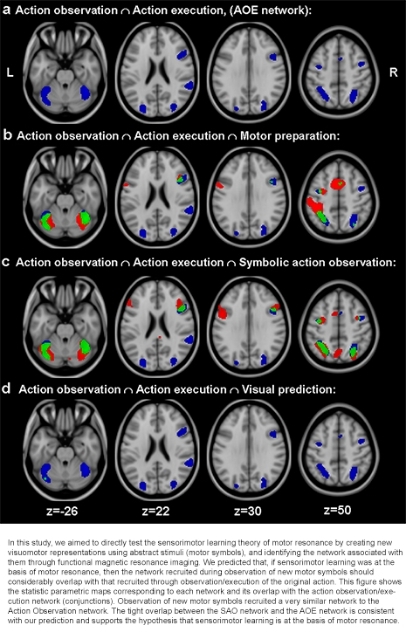 We also use structural MRI to investigate structural changes induced by motor training on in gray matter volume and white matter microstructure. These figures illustrates some of our recent findings,which are detailed in the actual publication.